Raffle ticket selling starts now !!!! [RAFFLE] A set of magnetic switches from Zepsus ! Last but not least, Zepsus decided this year to support the French F3F Team and offered for the raffle a set of 5 magnetic switch so you can equip your entire fleet of F3X glider and even more. They are very popular among F3X competitors all over the world, are very tiny and reliable, work in SV and HV without any problem. We are approaching of the opening of the raffle that should be tomorrow afternoon. [RAFFLE] a micro DLG Strike 2 from Fred Modelisme ! 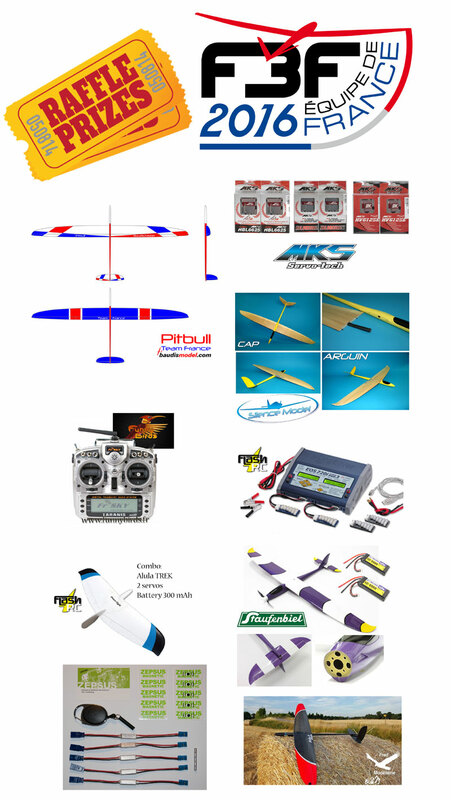 Fred Modelisme, a young webshop distributing/reselling composite gliders for sport flying or competition, more F3K and F3J/F5J oriented for the moment, and also various accessories joined the team sponsor list. Fred Modelisme offered for our raffle a super and cute full carbon micro DLG Strike 2 ! Many thanks to Frédéric for his support !